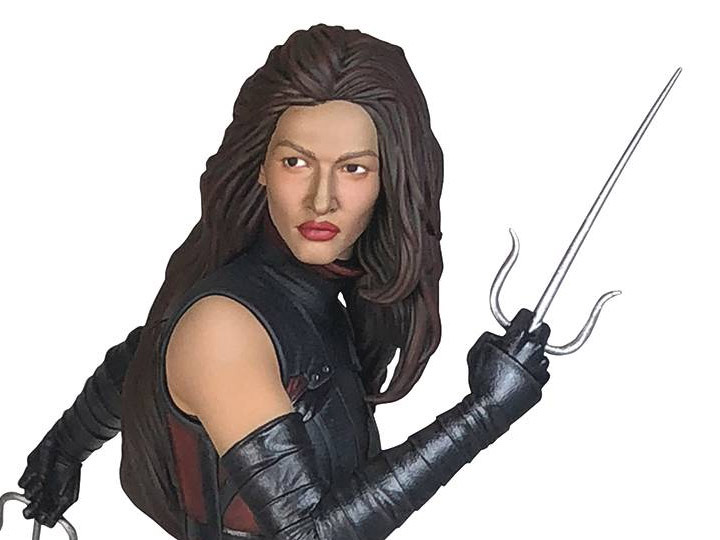 Elektra Natchios the love of Matt Murdock's life, and his deadliest enemy! 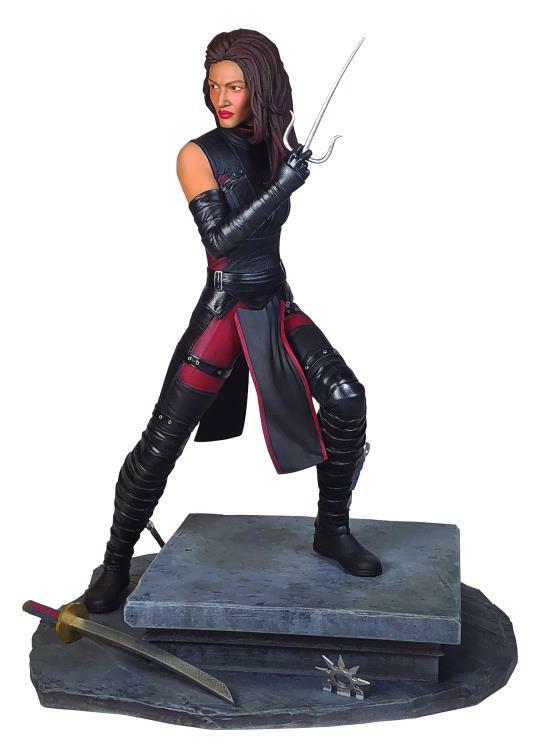 Based on her appearance in the Netflix TV series Daredevil, this approximately 12-inch scale resin statue depicts her armed with her trademark sais on a diorama base and is limited to only 3,000 pieces. She comes packaged in a hand-numbered, full-color box with a certificate of authenticity. 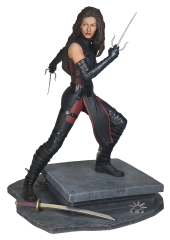 Designed by Caesar, sculpted by Cortes Studios.